Sony have announced their new RX1R II, a new “palm-sized” digital compact camera packing pro specs that make it a strong candidate for the ultimate ‘carry everywhere’ camera. Like our much-loved Ricoh GR, the Sony RX1R II has a fixed lens, although in this case it’s a super nippy Zeiss Sonnar T* 35mm f/2 lens, backed by a huge 42.4-megapixel full-frame sensor capable of outputting uncompressed 14-bit-per-channel raw images. 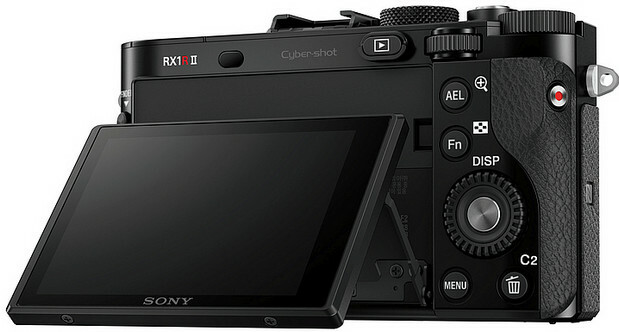 The retractable 2.4M-dot XGA OLED viewfinder appears to be the same one fitted to the Sony Cyber-shot DSC-RX100 IV, while the useful 3″ 1.2M-dot articulated LCD can tilt up by 109 degrees and down by 41 degrees. Sony describe the camera as ‘palm sized’ which is another way of saying ‘quite big’ with its dimensions registering as 113 x 65 x 72 mm (4.45 x 2.56 x 2.83″) – so not exactly pocketable, but still incredibly compact for a full frame snapper. The non-retractable lens features an old school focusing ring and aperture selector (we like this very much indeed), while the uncluttered top plate has a mode selector, power switch and a +/-3 exposure compensation dial – something we also like very much. The dials are also satisfying chunky and knurled. The first of Sony’s high end RX line of compact cameras to feature Fast Hybrid AF capabilities, the beefy sensor features 399 focal-plane phase-detection AF points that cover about 45% of the image area – the world’s widest AF coverage on a full-frame sensor say Messrs Sony. The company claims that along with its 25 contrast AF points, the camera now achieves a focus response that is about 30% faster than the original model, with AF-C mode managing up to 5 fps continuous shooting. Pros will warm to the provision of a variable optical low-pass filter, providing three settings for the AA filter; “off”, which provides comparable effects to having no low-pass filter and is suitable when prioritising resolution, “standard”, which strikes a balance between resolution and removal of moiré and colour artefacts, and “high”, which places more emphasis on reducing moiré and artefacting. Video recording tops out at 1080/60p and there’s Wi-Fi and NFC onboard, allowing remote shooting from a smartphone. Why the hell isn’t the articulated display a touchscreen? Cheaper cameras from Olympus and Lumix manage it, and being able to instantly focus ad take a picture by touching a screen is bloody useful. The price! Ouch! 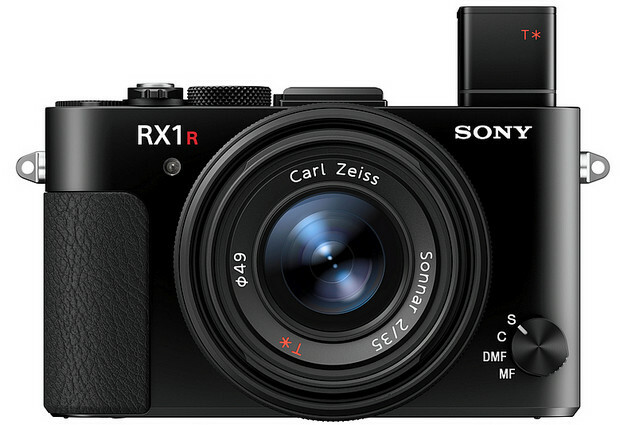 The Sony RX1R II will be available in December 2015, priced at £2,600/$3,299. 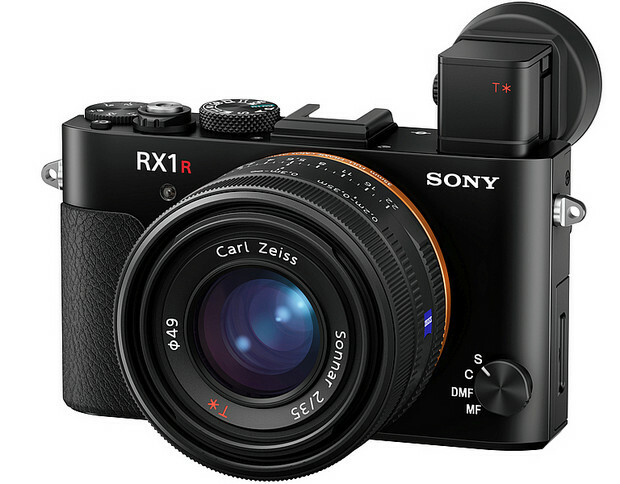 Sony today introduced the latest addition to their acclaimed Cyber-shot RX compact camera line, the full-frame RX1R II (model DSC-RX1RM2). Joining the original RX1 and RX1R cameras in the family of the world’s smallest full-frame cameras, the new RX1R II delivers the highest picture quality of any Sony compact camera ever made. This can largely be attributed to the new camera’s high resolution 42.4 MP sensor paired with its large aperture, fixed focal length ZEISS Sonnar T* 35mm F2 lens, which have been fine-tuned to optimise performance together. 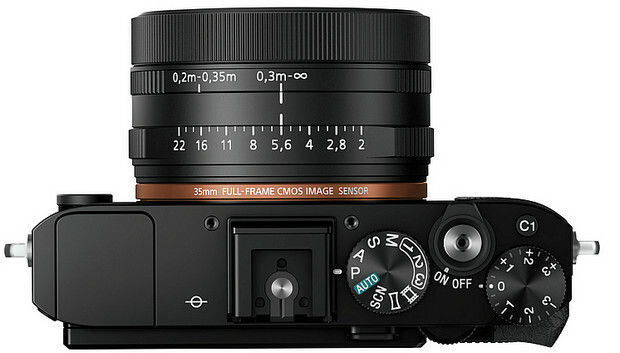 Additionally, the new model features a 30% improvement in AF response speed compared to the original award-winning RX1 models and is equipped with the world’s first optical variable low pass filter that can be set to “off”, “standard” or “high” based on user preference with low pass filter bracketing available. It also has a convenient retractable XGA OLED viewfinder for eye-level shooting, which has been implemented with minimal change in overall body size from its predecessors. 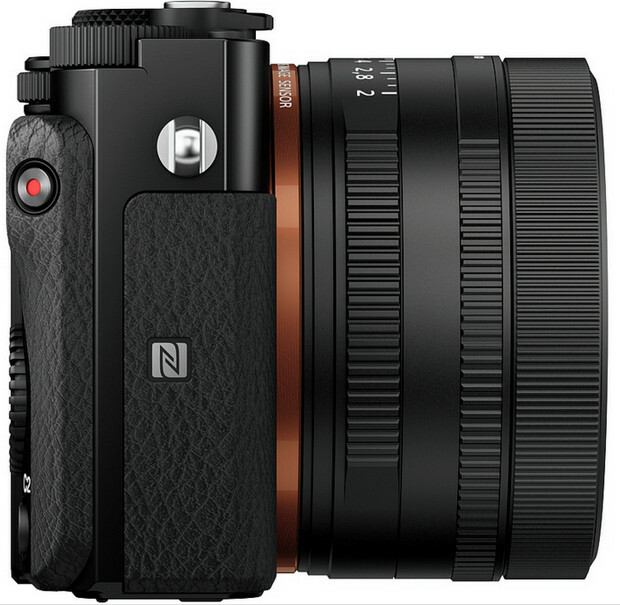 The new RX1R II camera utilises a back-illuminated 35mm full-frame Exmor R® CMOS sensor with approx. 42.4 effective megapixels paired with a powerful BIONZ X processing engine to achieve superior levels of image resolution and sensitivity (ISO 100-25600, expandable to 50 – 102400) with wide dynamic range. The sensor’s back-illuminated structure, with an expanded circuit scale and copper wiring design, enables faster transmission speed and outputs data approximately 3.5x faster than the original RX1R, ensuring high-speed performance. The RX1R II model is the first in Sony’s acclaimed RX line of compact cameras to feature Fast Hybrid AF capabilities. The camera’s sensor features 399 focal-plane phase-detection AF points that cover about 45% of the image area – the world’s widest AF coverage on a full-frame sensor – that work together with 25 contrast AF points to achieve focus response that is about 30% faster than the original model. Additionally, the camera has adapted an advanced motion-detection algorithm that offers superior tracking performance of moving subjects and allows for the addition of AF-C mode that accurately tracks a subject after focusing. It also can achieve up to 5fps continuous shooting with AF tracking. The three settings for the low-pass filter include “off”, which provides comparable effects to having no low-pass filter and is suitable when prioritising resolution, “standard”, which strikes a balance between resolution and removal of moiré and colour artifacts, and “high”, which places more emphasis on reducing moiré and artifacting. This unique feature allows photographers to achieve the desired image quality and resolution based on the presence of moiré-inducing high spatial frequency objects in the scene, essentially combining two cameras – one with and without a low-pass filter – into one body. Low-pass filter bracketing is also available and can be used to compare the effects of different settings. New for the RX1 series, the RX1R II has a built-in retractable XGA OLED Tru-Finder that pops up and down with simple one-push operation. The viewfinder features ZEISS T* Coating and four glass elements, including two aspherical lenses, that work together to deliver a magnification of 0.74x and clear corner-to-corner visibility with minimal distortion. The new camera also has a 3.0 type WhiteMagic™ 1.2 million dot LCD display that can tilt upwards to 109 degrees and downwards to 41 degrees, allowing for a greater range of shooting angles and positions. On the video side, the camera’s advanced sensor and processor deliver exceptionally detailed movies with low levels of noise. It is able to support full HD 1920×1080 video recording at frame rates of 60p, 30p or 24p through use of the versatile XAVC S movie recording format. The new Sony RX1R II full-frame compact camera will be available in December 2015 with UK pricing at £2,600.